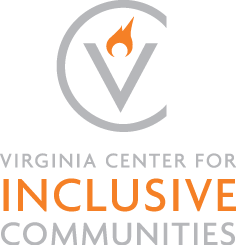 The inaugural Virginia Center for Inclusive Communities Virginia Inclusion Summit took place on January 25, 2019 at J. Sargeant Reynolds Community College Parham Road Campus. 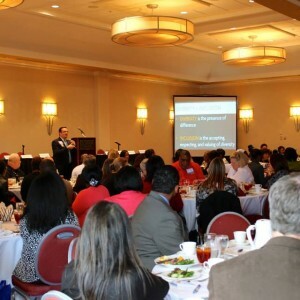 The Virginia Inclusion Summit brings together higher education students and administrators, workplace professionals, and government employees for a day of learning, sharing, and connecting. The program includes dynamic keynote speakers and interactive breakout sessions, along with opportunities to network across sectors. 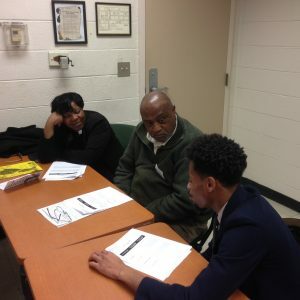 Attendees are able to participate in tracks in their peer group and have opportunities to work across cohorts to come up with innovative solutions to challenges they face. 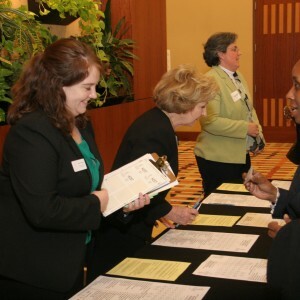 The Virginia Inclusion Summit focuses on current events and identify best practices to help institutions across Virginia become more equitable and inclusive. The worship is designed to stimulate participants to challenge currently held beliefs about women in the workplace and to think of strategies to create a more welcoming, inclusive, and equitable work environment. The workshop will also emphasize practices that employers and employees are encouraged to consider to increase diversity in the workplace. How do we move through difficult conversations while balancing relationships and our own truth? Nearly every day, we are confronted with opportunities to engage in difficult dialogues, especially in the current political environment. Recent research indicates that, as a country, we are in one of the most politically polarized times and are sorting ourselves based on partisan beliefs. While some people engage in these conversations successfully, others struggle with questions of when, why, and how. We will learn and practice 5 tips on difficult conversations, with the goal of making your next conversation far less difficult. According to the Greater Richmond Age Wave Coalition, older adults represent the fastest growing segment of the U.S. population. By 2030, the number of people in our region age 65 and over will double and those age 85 and over will more than triple. We are all growing older, all the time! In this workshop, we will discuss “Ageism” and strategies to Disrupt Ageism by exploring the following questions: What assumptions are made based solely on age? ; Ever do it yourself? ; How can we “Disrupt Ageism”? Lesbian, gay, bisexual, transgender, queer, and questioning people often have difficultly being fully out and authentic in their lives due to systemic oppression and bigotry. This participatory workshop seeks to explore what systemic oppression looks like for the LGBTQ+ community and how we can take steps to make positive change in our community. Participants will walk away with an action plan for speaking up and speaking out. While the workshop will center LGBTQ+ participants, allies are welcomed and encouraged to join. This workshop will examine the intersections of religion, ethnicity, race, culture, language and region to establish a more comprehensive, complex picture of our South Asian, Muslim, Sikh populations in the U.S. Based on this, we will explore ways to build more inclusive spaces for these students, and work through various scenarios. This will be an interactive session. Does wearing my hair the way it grows out of my head make me less professional? In this session, participants will explore the politics of natural hair in job interviews and the workplace. The session will provide a brief history on the perspectives of textured hair, the natural hair movement, and opportunities for participants to share personal hair narratives. By the end of the session, participants will learn practical ways to value and accept individuals who choose to wear natural hairstyles at work based on what’s inside their heads rather than what’s on top of them. Companies and organizations are placing a greater emphasis on increasing workforce diversity and building an inclusive environment for employees. HR professionals are in a key position to be able to influence policies, practices, and behaviors that move organizations to these goals. This session will cover how to utilize a D&I lens throughout the employee life cycle: attracting, selecting, developing, engaging, and retaining talent. Through hands-on activities and knowledge sharing, HR professionals will create an action plan for how they can incorporate these practices in their organizations. During this workshop, participants will review and discuss common LGBTQIA+ terminology, recognize the importance of incorporating LGBTQIA+ inclusion, identify their role in promoting LGBTQIA+ inclusion, and actively engage in small group work to create one tangible best practice for LGBTQIA+ inclusion to use within their organization. Through personal reflection, interactive exercises, and engaging conversation, participants will explore the various ways that racial identity and spirituality intersect, inform, and influence each other. In addition to providing a common framework of definitions and terminology, presenters will role model a process for understanding one’s spiritual journey with race as a key component. In an increasingly multicultural society, it is critical for leaders to be able to work across lines of difference. In this session, participants will explore stereotypes of various subcultures. They will also be able to have crucial conversations surrounding the origin of these perceptions. Attendees will leave with heightened skills to break down stereotypes, engage in meaningful dialogue, and foster inclusive environments in which all people have the opportunity to belong and succeed. Multicultural Centers and similar offices that support underrepresented students and provide cultural diversity, inclusion, and social justice programming have existed for about 40 years. However, with changing student demographics, laws limiting access and support opportunities for underrepresented populations, and the tumultuous cultural and political climate, Multicultural Centers have had to reexamine their purpose and goals. 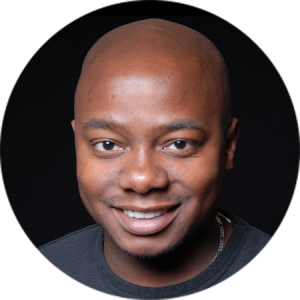 How do we effectively affirm, advocate, and educate with a rapidly changing higher education and societal landscape? One of the greatest barriers to successful and healthy workplace climates is miscommunication, or the fear of it. During this session, participants will increase their awareness of how diversity presents opportunities for inclusion, while receiving tangible take-aways related to planning, designing, and facilitating dialogues. They will be able to practice more effective communication strategies, learn about the difference between intent and impact, and build skills to productively respond to triggers. If Hotel accommodations are needed, the Virginia Inclusion Summit has reserved a block of rooms. By credit card: Use the form below or visit our registration site Note: all fees are passed on to registrant. Receipts are sent to the email address used when registering.